Featuring elbow length sleeves, collar, v-neck, and tunic fit, the Margot Tunic Blouse is made from a thick, structured fabric for a clean and crisp look. From pants to leggings, this will be a work go-to. This top is so classic and a true staple to any wardrobe. The fabric is nice and thick but not too stiff. Timeless piece I have worn over and over again and continue to get complements. Love this top! Bought it for my mom for Christmas and she loved it even more. She went ahead and purchased the black one too. The material is thick and not clingy but it is stiff so be aware of that. Love the collar- you can wear it down or up. I usually wear a M but the S fit perfectly! Loved it. Very classic but pretty big. I’m 20 weeks pregnant anfcusually a size 0 but had to return the small. Very cute! A little big!! Great top for the holidays! 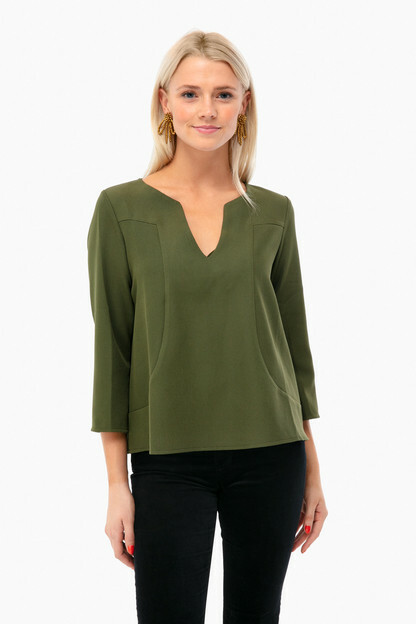 This top is of very high quality and is a great addition to my closet, especially around the holidays. It is a bit low cut and I have to wear a tank underneath. It is one of my new favorites! 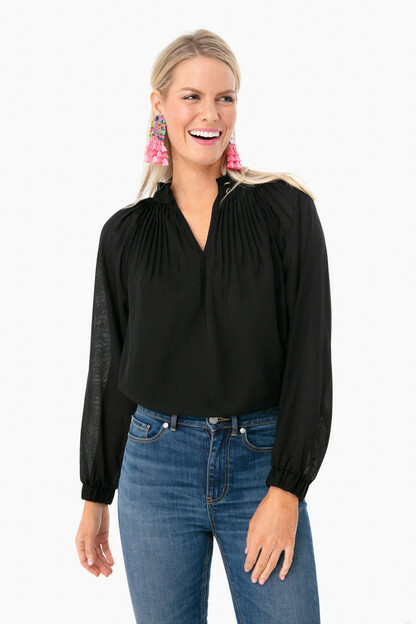 My new go to blouse! 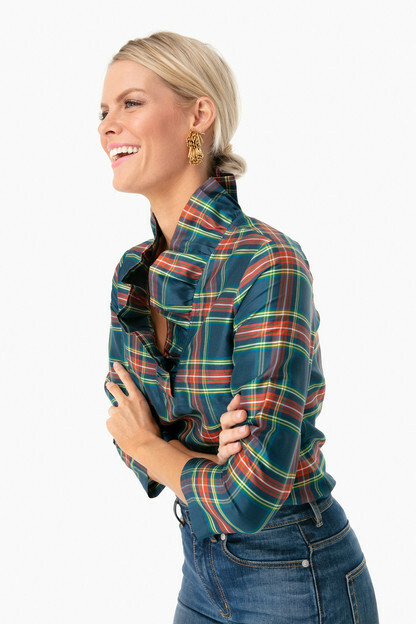 This blouse is definitely going to be my new Holiday go to! 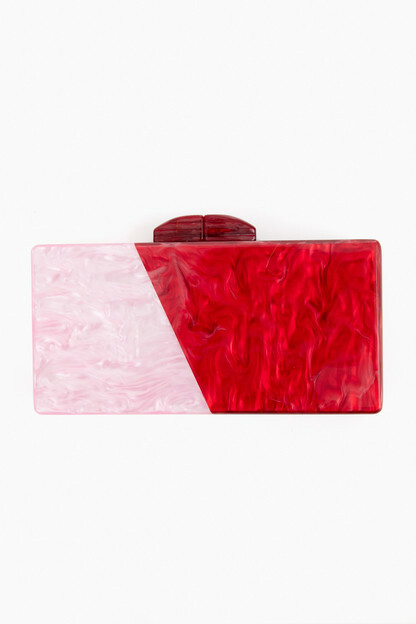 It is easily dressed up or down and pairs well with statement earrings and flats. I am in love with this super find! I am enjoying it already this holiday season. Funny thing is I do not even wear red, but I took a chance & love this holiday shade! Best part is you can dress it up or down. Versatile piece and I am on the waiting list for a black one in my size! Hurry up and restock, please. 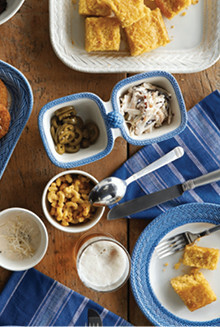 One more reason to love Tuckernuck! I love this top and can't wait to wear it for Christmas. The collar looks cute popped up and it stays up on its own easily. Looks great with jeans or dressier slacks. This top is just as stunning in person as it is online! It is slightly A-Line with the perfect v-neck making it extremely flattering on multiple body types. My new favorite festive top! I just purchased this top & I could not be happier with my purchase! It is the perfect desk to drinks blouse. The detail of the stitching and the lines of the blouse make it feel elevated without trying too hard. I'm 5'3 and I purchased my normal size (XS) and it fits perfectly! I want to buy it in every color! I love the material of the Margot Tunic-it is 60% cotton & 40% nylon so it has just the right amount of stretch. It has a stand collar that looks chic worn up, but you can also wear the collar down for a more casual look. The red looks exactly as photographed-such a nice pop of color! I bought this tunic for a winter getaway to Florida. It was perfect for shopping during the day and then dinner at night. I feel elegant and classy in it! Amazing quality. Perfect fit. 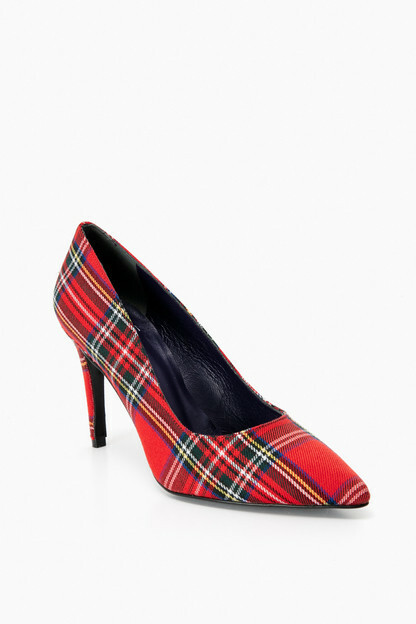 Have worn with black dress pants, leather pants and jeans. Versatile top that’s easy to dress up or down. This is a great, classic top. Really versatile. Dress it up with black pants or dress it down with rjeans. I bought two colors thinking I’d keep one and return the other. But I’m keeping both. (I found it ran a tad large, if between sizes, I’d go down). 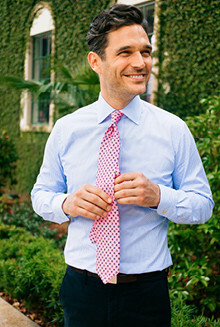 A great and generous fit - the perfect stand collar and the fabric is a great weight! Dressy enough for cocktail but goes great with jeans too! This is a great top to have to throw on when you need something easy, but polished. I will be buying in more colors! I love this blouse and wore it for the first time the other night! So elegant! I am on the waiting list for the same blouse in red - hope it comes in soon! I love this blouse! 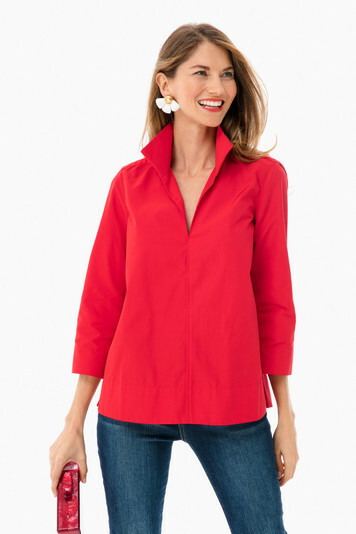 The structured collar, the open neckline and the slight detail on the sleeves give this blouse a distinctive design. And the fabric is fantastic! This top will easily become my year round go to.